If you hire our Harringay cleaners, you’ll be amazed at what you find. With professional cleaning equipment and specialist products, our carpet cleaners around the N4 area can make your faded floors look vibrant and full of life. Helping to eradicate unwanted odours and built-in stains, our N8 carpet clean can leave your fibres looking and feeling almost as good as new. So whether it’s your bedroom, living room, hallway or dining room floor that needs an update, our team are ready and waiting to help. 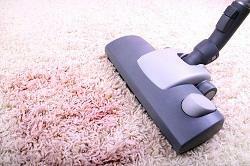 With our first-rate level of Harringay N4 carpet cleaning service you are bound to wish you’d used us sooner. Our upholstery cleaning Harringay service can take care of a whole range of hard-wearing and delicate fabrics quickly and efficiently in your home, leaving your curtains, sofas, cushions and chairs looking and feeling great. With no need to pack them up and send them off, our excellent upholstery clean in N4 team can visit your home at a time that is convenient for you. Equipped with a full range of professional products, our upholstery cleaners around N8 can transform your dusty or tired fabrics into radiant and vibrant pieces. So don’t think that keeping your furnishings clean needs to be a hassle when our team can take care of them in a jiffy. 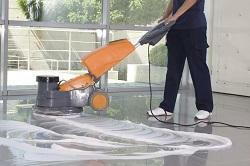 Are you looking for a reliable end of tenancy cleaning Harringay? Then you need look no further. Our cleaning company offers an extensive end of tenancy cleaning service across N4 that can assist you with whatever you need. So if you don’t have time to finish your cleaning off before you move out, or if you need someone who knows what they’re doing, call our professional team today. Our end of tenancy cleaners within N8 are quick and efficient at what they do and will always leave your old home looking its best. In addition to this, our move out cleaning team are always available at short notice and are happy to come at a time that suits you. Do you ever wonder what it would be like to have Harringay domestic cleaning team in your home? Then wonder no more! With our exceptional prices and flexible availability, we are sure to have a package to suit your budget. Our domestic cleaners in the N4 area are all trained to the highest of standards, always more than happy to help you with as much or as little as you need. So if you find it difficult to keep on top of all those little things or if you need some help with a one of deep clean, call our Harringay cleaners today. If you’ve had a bad experience with house cleaning companies across Harringay in the past and are not sure about whether you’re willing to try again, why not check out our excellent customer testimonials today. Our Harringay cleaners are well-known in the local area for being experts at what they do and have never let any of our customers down. With exceptional service records and a whole host of reputable references, our Harringay house cleaning team are more than qualified for the job and will always fit right into your home. So whether you need help with your day-to-day tasks or your one-off deep cleans, our team are ready and waiting to help. Our cleaning company provides a reliable office cleaning Harringay service which can keep your workplace maintained for longer. We all know that happy workers are productive workers and that having a clean office can help to give your team a more positive attitude. That is why we offer an affordable commercial cleaning service in N4 that can help you to keep your office looking first-rate. Available to work early mornings, day shifts or late nights, our office cleaners in N8 are the most flexible in the business and will never let you down. So whatever service you need, drop us a line today. We provide homes and offices in N4 area with the very best Harringay cleaners at prices which are very competitive and excellent value for money. Company name: Harringay Cleaners Ltd. Description: Carpets-fresher than they did the day they were laid after being in the miracle hands of our cleaning team in Harringay, N4. Call 020 3744 0116.